Your children’s health and safety is number one. 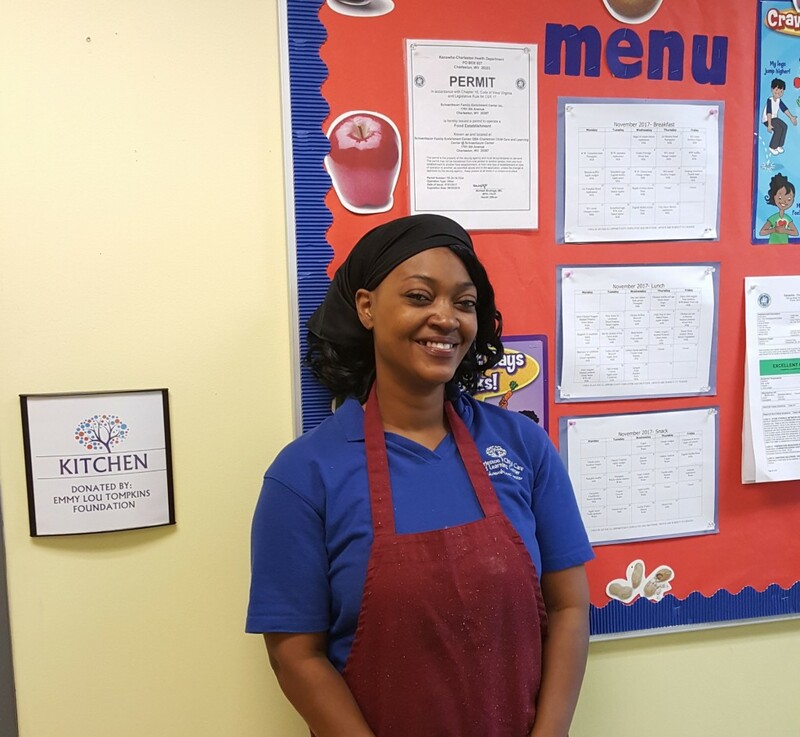 With our top notch kitchen at Charleston Child Care and Learning Center, parents can expect fresh cooked meals daily. 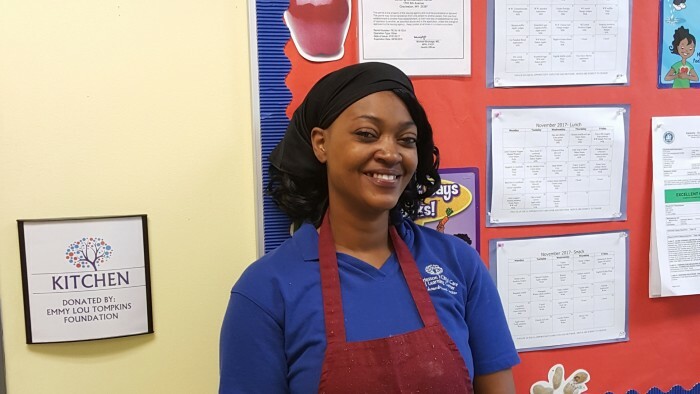 Our lead cook, Marlisha, ensures that each child gets the proper nutrition they need to fuel their brain for a high level of learning. She also uses produce from our own local community garden. This teaches children the importance of growing and cultivating vegetables in the classrooms as well. Our latest inspection proves that she has gone above and beyond to gain the “EXCELLENT COMPLIANCE” rating from the Kanawha- Charleston Health Department. 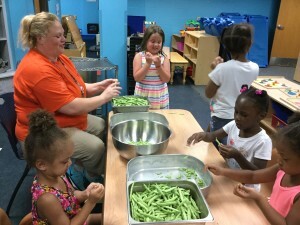 The Children in this photo are stringing beans from our community garden. Katie, is teaching them the importance of growing vegetables that will be used in their meals.